Proofreading deals with the final version of a manuscript before it is published, Unlike copy editing, it is not expected to make any revisions to the content or style. It is a check for any typos or missing punctuation marks, and to remove any repeated words or paragraphs, and with an eye to consistency. 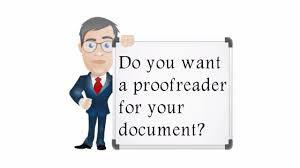 Copy Editing is done in order to prepare a manuscript for an editor to apply his/her editing skills. The copy editor’s job is to bring the first draft of an article or manuscript to a proper standard by making and suggesting edits to cut down on wordiness, fix awkward phrasing and eliminate repetition. I will be happy to quote for either of, or a combination of, these for your manuscripts. Please contact me by my email seumasgallacher@yahoo.com or by Direct Message on Facebook. Good for you! You certainly know the market and about readability and all the ins and outs of good writing. Best of luck with this new endeavor. Good to hear this, Seumas. Your skillful help is sorely needed. And in doing so your own skills will develop and improve. Go for it. Master Gallacher offers his knowledge and experience to all of us authors! This is great news! !